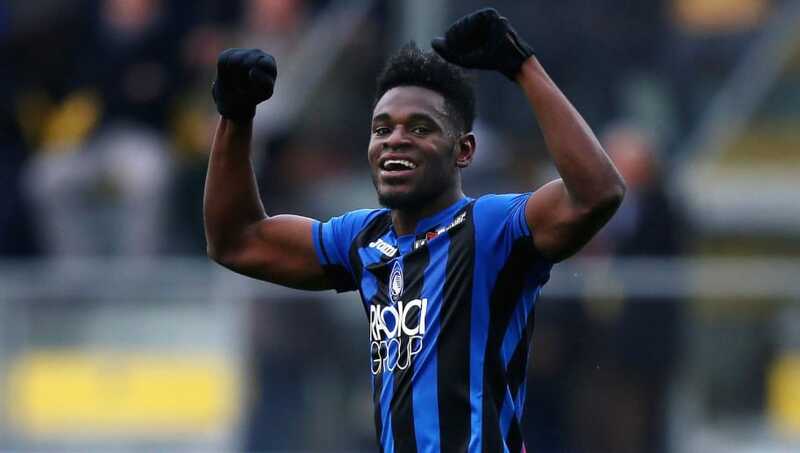 ​West Ham United have had a €40m bid for Atalanta's on-loan striker Duvan Zapata rejected as the Serie A side look to make his stay at La Dea permanent. Zapata has been in fine form for Serie A's seventh-placed side his season, with a recent four-goal haul in a 5-0 win against Frosinone taking his league tally to 14, putting him level with Cristiano Ronaldo and Fabio Quagliarella as the league's top goalscorers. As a result, Tuttosport, via ​Calciomercato, report that the form of the Colombian international has seen him pique the interest of ​Premier League side ​West Ham. However, they have seen an initial €40m bid rejected. Atalanta, who have Zapata on loan from from Sampdoria until 2020, also have a €14m option to buy in his contract. Zapata himself has previously spoken on his desire to play in the Premier League, saying: "In Colombia we love Premier League. Who knows. One day I could play there." West Ham have been linked with a host of forward options this window, with Edin Dzeko and Andrea Belotti also among those mooted, amid fears over the futures of Marko Arnautovic and Javier Hernandez. However, ​the former looks set to remain at the London Stadium for the time being, despite talk of a move to the Chinese Super League. Manuel Pellegrini's side are currently 10th in the Premier League on 31 points. Their attention for this weekend will shift to the FA Cup as they face AFC Wimbledon in the fourth round.